A good perfume takes you to another time and place. spreading their seeds as natural confetti. very great city has its iconic buildings – and real great cities also have their own signature tree. In Berlin we walk ‘Unter den Linden’, Paris is full of Plane trees and Amsterdam’s signature tree is the Elm. Elm trees have defined Amsterdam’s cityscape for centuries, they are part of the Unesco World Heritage Site: the canal district of the historical city centre. We love the Elm trees: they bring nature to our city and tell us what season it is. And every spring we are amazed by the way they spread their seeds all over Amsterdam - like spring snow. This magical natural phenomenon inspired us to create Eau d'Amsterdam, Scent of the Elm Trees. It is the first ever green perfume from the historical centre of Amsterdam: World Heritage in a Bottle. Eau d'Amsterdam was launched the end of 2014 in an inspiring Parfum Lab at Meesterlijk, a design & applied arts event in Amsterdam. It is a perfume for both men and women. And already selected by VOGUE as 1 of 7 Best Scents With a Destination! urious? You can order online by clicking this link: ORDER NOW. We ship worldwide, so you can enjoy Eau d'Amsterdam anywhere you want! Furthermore you can try & buy Eau d'Amsterdam (€ 58,= for 50 ml and our new edition of the Scented Candle € 35,= for 140 g) at several locations in & around Amsterdam, see BUY for all addresses. New! New! New! September 14th 2018 we launched a new fragrance: Eau d'Amsterdam Vondelpark! This perfume is like a summer evening in the park: you will smell the natural fragrance that is released when the sun shines on wood. You can already order the first bottles online or buy them at the Perfume Lounge in Amsterdam. Take a look at the making process during our stay at the Tower Room in the park as Artists in Residence at Vondel CS. Eau d’Amsterdam is an idea of art duo Tijdmakers:Saskia Hoogendoorn & Lieuwe Martijn Wijnands, they created the fragrance with perfume designer Annindriya & the creative people of IFF. With a purchase you support Springsnow, Amsterdam's Spring Celebration. 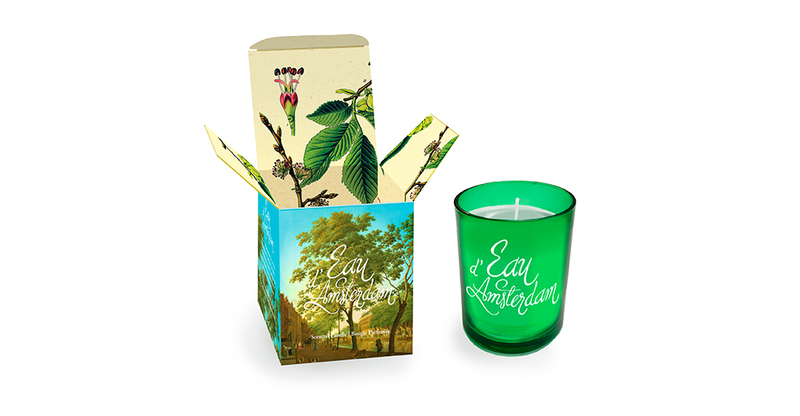 With 75,000 elm trees in the city, this is the natural scent of Amsterdam. 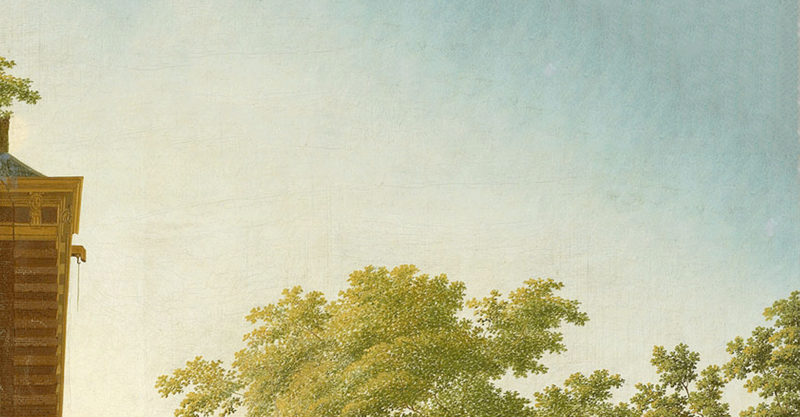 For centuries there have been elm trees along Amsterdam’s canals. Now for the first time their unique scent is captured in a perfume. Scientists discovered we fall in love with someone’s scent first. We believe this applies for cities as well, that’s why we captured Amsterdam’s natural fragrance. 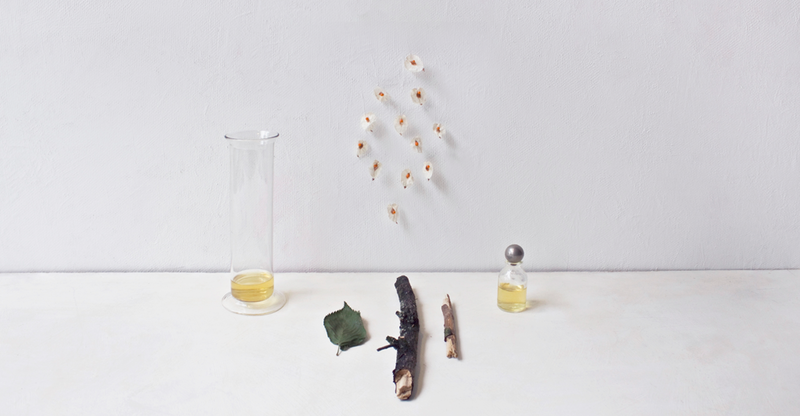 You don’t have to travel the world to find ingredients for a great perfume. 1 of the 10 Dutch ideas we wish we had invented first! Finally Amsterdam has it’s own perfume! Also in following hotels in Amsterdam: Hilton Boutique, The Manor, & Volkshotel. And now also at Cafe Côte in Heemstede, Yellow Birds in Bussum, & Groene Vingers in Delft. Eau d'Amsterdam is an initiative from Lieuwe Martijn Wijnands & Saskia Hoogendoorn, of creative studio Tijdmakers, who created the perfume to support the art & pop-up events of the annual Amsterdam Springsnow Festival. Eau d’Amsterdam is made in cooperation with perfume designer Tanja Deurloo from Annindriya and the creative people from IFF (International Flavors & Fragrances); digital concept developer Robert Overweg, graphic designer Monique Wijbrands, and elm tree expert Hans Kaljee. Photo: Frieda Mellema, video: courtesy of Bram van Alphen & Tom Oosterhuis, painting: Hendrik Keun, De Keizersgracht at Molenpad ca. 1775, Collection Amsterdam Museum.